This weeks challenge is Foreign and therefore this weeks picture comes from Hong Kong…. Hong Kong is such a strange city. A former colony of the United Kingdom, which, on the 1 July 1997, had it’s sovereignty transferred to China. Yet, so many things remain particularly British. Street names for example haven’t changed, statues of British monarchs like Queen Victoria and King George remain. Electrical plugs (BS1363), TV transmissions (PAL-I) and many other technical standards from the United Kingdom are still used in Hong Kong. So although when I visit I’m in a foreign country, which has it own culture and traditions, in many ways I feel perfectly at home. 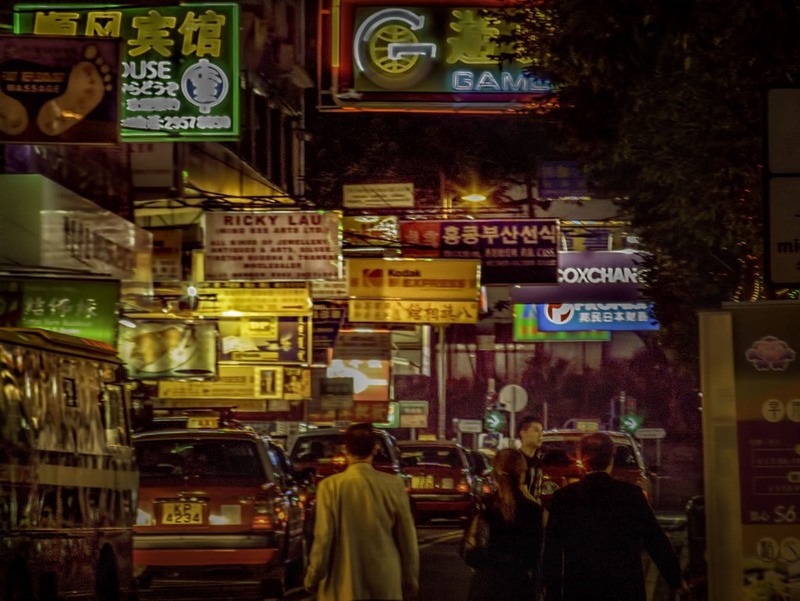 This weeks picture was taken on a Hong Kong street at night. I love night-time in Hong Kong, the streets come alive and all the neon lights make for very colourful scenes. Previous Post Facebook, I Want My Friends Back! I think HK is a great shot for foreign, as if your not from there it’s foreign to the way things are done anywhere else.If you are there, there is so much change, adapting to tomorrow and to new trends, it can be foreign to locals. There has been a lot of change in Hong Kong since the British gave it up but the Chinese governement have allowed a fair degree of self governance still. And on top of that, the composition is very good… Can I just say well done?